It’s not difficult to find good beer in Montreal. There’s no shortage of brewpubs across the city, and they are serving up everything from classic drafts to more unusual offerings, including both local and international microbrews. 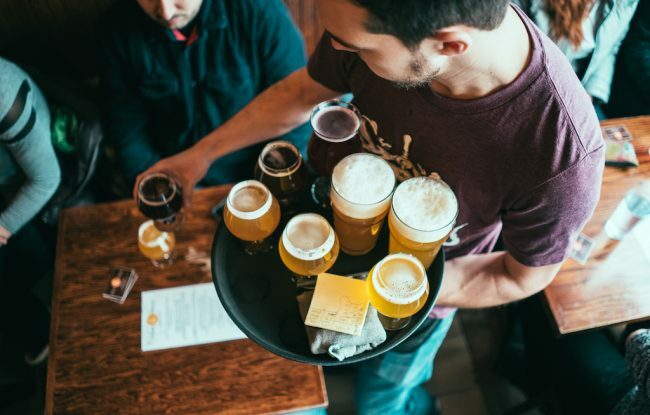 We’ve narrowed it down to 10 of the most popular bars, restaurants, and pubs offering creative craft options that every beer lover who is visiting the city must try. 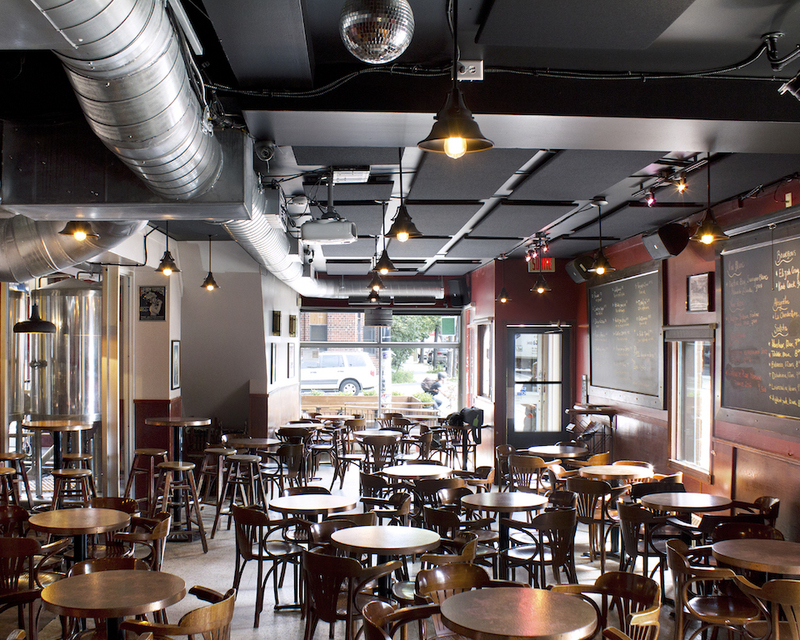 Located just west of St. Laurent on Villeneuve, Dieu du Ciel is open seven days a week until 3 am. 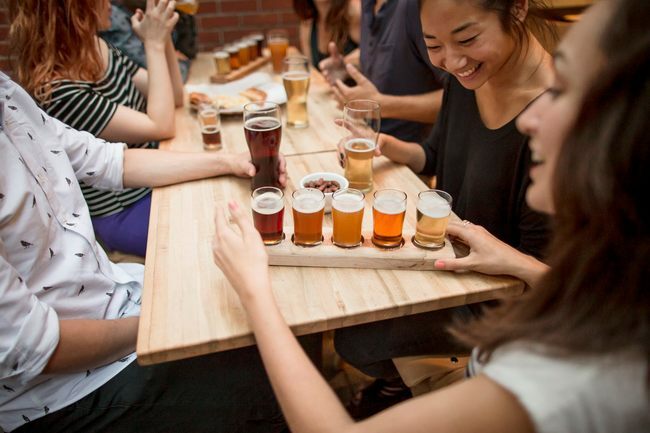 Considered one of the top brewpubs in Montreal and beyond, their beer menu is constantly being updated, with 15+ creative craft brews on rotation. You can choose your favorites, or have something brand-new every time you walk in the door. The drinks are also cheap, generally ranging from $5–7 for a beer. They have a select food menu (the nachos are a must-have snack), and from its patio (in summer) to its interior, DDC is always brimming with patrons. Le Cheval Blanc holds the status of being one of the oldest microbreweries in Montreal. Although this spot doesn’t have such wide-ranging choices as Dieu du Ciel or some other local brewpubs, there’s still a rotating menu of around a half-dozen different styles—from stouts to blondes to IPAs. 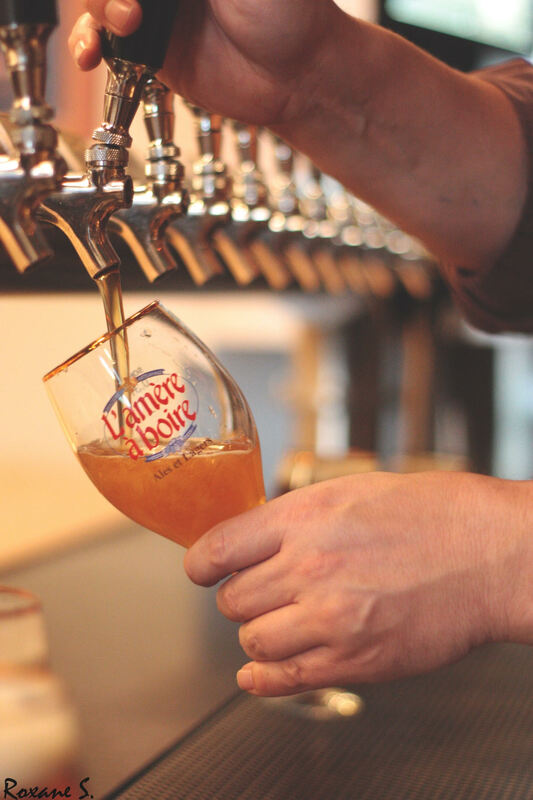 A pub with more of a café vibe, the craft beer menu at L’amère à boire on St. Denis boasts 22 house brews, which vary from stouts to ales to lagers. These can be paired with items from their great tapas menu too. There’s also a patio for the warmer months. Benelux has two dimly lit locations, with one on Sherbrooke and the other on Wellington. This brewpub offers a dozen or more craft brews, including blondes, ales, and stouts, with enough rotating options to keep the menu dynamic at each spot. The Wellington address is 4026 Wellington Street, Verdun, Qc H4G 1V3; the Sherbrooke one you can find below. Le Réservoir is a snug Plateau brewpub that also offers Sunday brunch. With a well-stocked menu of local and other craft brews, including cherry-infused porter and oatmeal stout, this hot spot has an intimate, upscale vibe and also boasts a great upstairs patio so that you can enjoy your beer in a summer breeze. They also have a strong wine menu and tasty food options. Brutopia consists of three bars that cover three floors, and they brew a lot of their beer on-site and offer other craft and micro-brewed beer that they import. Specialties include IPA, Brown Ale, Honey Ale, and Raspberry Blonde. Brutopia also creates seasonal brews throughout the year, such as Chocolate Stout, Cream and Scotch ales, and more. They also host live music plus trivia and open mic nights. Vices & Versa in Little Italy offers at least 33 craft beer choices on tap, and all are from local Quebec crafters. They also have some rare beer and specific styles, such as light 4% or dark 12%, and you can order a unique cask or specialty bottles. Vices & Versa has a reputation for serving some of the best. Although they don’t brew any of their own, the staff is knowledgeable and friendly. In summer, their patio is a must-visit spot, especially if you want to relax in a laid-back atmosphere. Broue Pub Brouhaha sits off the beaten track in the Rosemont neighborhood and offers a selection of rare beers from across Quebec. They also brew some of their own beers, in addition to having a wide range from Europe. With more than 850 varieties of beer, Le Saint-Bock probably hosts the most wide-ranging selection of craft beer in the city. They do brew some of their own, but naturally, most of the stock comes from other craft brewers, including local favorites. As for food, their menu is mainly standard pub fare. MaBrasserie, owned by a working co-op, produces its own line of beers in addition to carrying the drafts of its members: Isle de Garde, La Succursale, Broue Pub Brouhaha, and Noire et Blanche. Their Rosemont tasting room, which is open Thursday through Saturday, serves only the beer selections that they brew on-site, and there’s also a bottle shop where you can buy beers to go.